Jack and Annie continue their quest for the secrets of happiness–secrets they need if they’re going to save Merlin. 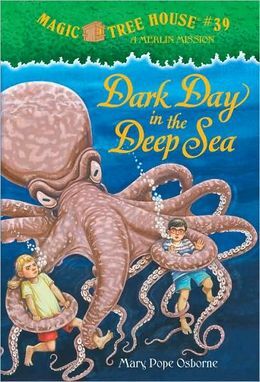 But when the magic tree house leads them to a tiny deserted island in the middle of the ocean, they’re not sure who needs help more–Merlin or themselves! The brother and sister team are soon rescued by a ship of explorers and scientists. But the crew isn’t looking for the secrets of happiness. The crew is looking for . . . a sea monster!